It is an historical fact that the South West is the proud bastion of opposition politics in Nigeria. And I remember the impressive thought of the idea that a virile opposition gives an added strength and beauty to every government. This no doubt the Yoruba nation has consistently provided the Nigerian federation. 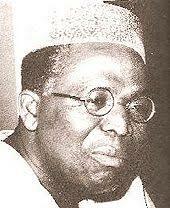 Its making by choice or by chance is centred around no other person than Chief Obafemi Awolowo of blessed memory. He so nurtured it to an enviable height with achievements that dwarf those of other regions in education, industry, agriculture, infrastructure, broadcasting among others. To the extent that no Yoruba man true to heart could ever wish for more or call to attention a superior foreign template at least within the NIgeria’s political-economy space. His successful models are almost always the point of reference. A trail blazer. Though his personal presidential ambitions remained until his death a still born. All through, however, his cultic influence held sway within the sub region so much that results of election after election remain a forgone conclusion. Yorubas always vote en bloc. In those intervening years, there were for balance federalized representational purpose people who filled the region’s slots across board. There impact and influence remain a drop in the ocean compare to his all inclusive, far reaching beneficial political-economic constructions. Here his free education programme easily comes to mind. On his passage in 1987, an inevitable gaping void was created which at various time was filled by no less capable leaders of thought like Pa Adekunle Ajasin and Pa Abraham Adesanyan. Incidentally, they were all his idealogical co-travellers and loyal allies. So they’re all perfect successive torch bearers nonetheless. But more than in previous time, there came growing calls from some notable quarters that its long overdue for the Yoruba nation to abandon its age long political template and moved into the mainstream national politics. They argued we’ve had enough of opposition politics. They enumerated some of the many benefits of such paradigm shift to include unrestricted access to developmental projects from the federal government amongst others. They’re quick to reference at every opportunity to a certain federal might which is good to have on ones flanks. What they’ve not been able to proof hard they tried is that Chief Obafemi Awolowo has done wonderfully well even in the absence of the so call generous federal Santa Claus. To underline the emergency or the significance of this visionary hope, the matriarch Late Yeye Odua, Mrs HID Awolowo was widely reported to have echoed similar sentiment at a chance political gathering. But I for one would love to ask where lies the magic salivating difference. After all, other regions or states if you like which are politically aligned with the federal government over the decades post independence.have not done any better. Except for the small band of self seeking elites who as usual are lining their pockets with state funds while at the same time serenading us with this utopian attraction. But like an idea whose time has come which nothing can stop. The transition which has long been a subject of speculations was eventually realised in 2015 through the political enigma Asiwaju Bola Ahmed Tinubu, the former governor of state of Lagos. I need not to go into the details of the merger that will go on to produce the national ruling party, the All Progressive Congress (APC). Effective from august 29, 2015, the Yoruba nation finally exited her classical political opposition cocoon moving into the (quote on quote) promising foreground of mainstream national politics. It’s quite historic in the sense that this’ll be the first time an opposition political party will hold sway at centre. It calls for celebration and all connected can afford to pop champaign and be merry. isn’t it. Now that we’re there, a lot of people including myself are hoping to see what marked difference or if you like benefits this will make on the lives of an average Yoruba person(s) and by extension all the aligning states. Perhaps there are some already. We’ll soon discover. A case in point was the unlawful and unconstitutional withholding of statutory allocations due to the state of Lagos under the presidency of Aremo Olusegun Obasanjo whose impact was greatly mitigated by a trailblazing innovative management acumen of the Bola Tinubu’s administration through its then accountant general in the person of Mr Akinwunmi Ambode, the incumbent governor.. . Somewhat a reactionary and punitive measure taken by the federal government excused away because Lagos had created additional 37 illegal (LCDA’s) Local Council Development Areas to bring governance closer to the people at the grass root..
From the perspectives of active political actors at the centre today, the current development is one political marriage that guaranteed a win-win situation head or tail. Like a doubting Thomas, however, I’ve been seeking evidence of the so call benefits even on the microscopic measure. Then a friend of mine with whom I’ve always had fruitful discussions on diverse national issues called my attention to an incident on the Ipaja-Ayobo axis. He narrated how an ordinary electric pole had long constituted a bone of contention between successive PDP’s Federal government and Lagos in its quest to dualise the major road in that axis. And just within few weeks or there about of installing (APC) at the centre the said pole was simply removed with no obstructive order and that section of the road completed. The above story encapsulates how unnecessary rivalry between opposition political parties have long stalled and still stalling developments especially at the state level..
Talking of another gain, only last week or so Lagos received a federal government delegation that was in the state to confirm the approval of request placed before it by the state for the commencement of payment of 13percent derivation due to it as the latest oil and gas producing state. The delegation confirmed that four of the five oil wells discovered off Lagos littoral terminations actually belong to it. The remaining falls outside of it and so belong to the federal government. What is key here is the speed with which the process was formalised. Would it have been possible perhaps if the state was still in the opposition. All thanks to the fact that the state is politically aligned with the government at the centre many public affairs analysts believed. As far as the relationship goes it’s a great start. This notwithstanding, a seeming malcontent statements of alleged marginalisation were heard from some delegates at a recent retreat of the south west (APC) held at Ibadan in the state of Oyo. But before this I’ve heard of underground movement or attempts to form a new political party because things are not going as planned with some South West elements within the ruling APC. .
And I immediately asked the purveyors of this news where can the Yoruba nation go again. Of course go back to our opposition past. Like the elder will say, if going forward simply met a brick wall; going back would not be a bad idea. But I sincerely hope and pray this will not happen so soon. For all these permutations time definitely is of essence. Taken for a balm, people say it will heal all wound. Taken, however, for a passage laid with opportunity for new partners who genuinely wish to build a lasting and fruitful relationship. The possibilities are simply endless. I hope all the parties involved will seize it.